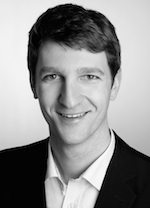 Dominik Richter is co-founder and CEO of VulcanoSec. Before starting his career as a tech founder, he led the security development of Telekom Cloud and has since been regarded as one of the most accomplished security experts in Germany. As a management trainee at Deutsche Telekom he went through different business areas and gained extensive leadership experience. Dominik studied Information and Communication Technologies at the Hft Leipzig and completed studies abroad at the University KAIST South Korea and the UPV Spain. 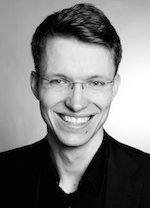 Christoph Hartmann is co-founder and Business Development of VulcanoSec. Previously, he worked at Telekom Innovation Laboratories as a project manager, where he developed the future IT infrastructure for fixed and mobile networks, as well as a management trainee at Deutsche Telekom AG in different business areas such as management, in-house consulting, marketing and customer service. Christoph has studied Software Systems Engineering at the Hasso Plattner Institute in Potsdam and took part at the "Design Entrepreneurship Program" at Stanford University during his Master.